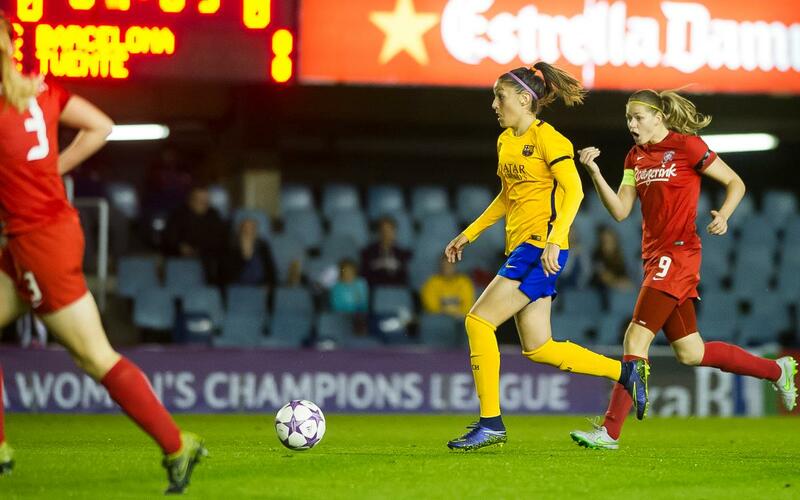 The FC Barcelona Women’s team have learned that they’ll be meeting the Dutch side FC Twente in the UEFA Champions League for the second year in a row. The first leg of the last-16 tie will be played in Barcelona on November 9 or 10, and the return will be in Holland one week later, on November 16 or 17. The teams met in the same stage of the 2015/16 edition of the competition, with Barça winning both legs, 1-0, thanks to goals each time from Olga Garcia. The Catalans made it through their first round match with a 5-1 aggregate defeat of Minsk, setting things up nicely with a 3-0 win in Belarus before finishing off the job, 2-1, on some very, very wet home turf. The side from Enschende first had to get through a qualifying group that also included Ferencváros (Hungary), Konak Belediyespor (Turkey), and Hibernians (Malta), and then, like Barça, won their first knockout match, 5-1 on aggregate, in their case against Sparta Prague. Xavi Llorens is aiming to better last season’s impressive run, when Barça were edged out by a solitary PSG goal after beating Twente to reach the quarter-finals.